The texture of potatoes is very interesting because of the starch content, it is very soft when baked. Yet when we remove the starch from the potato, the texture is completely different, transforming itself from a mash like texture to a crunchy vegetable. 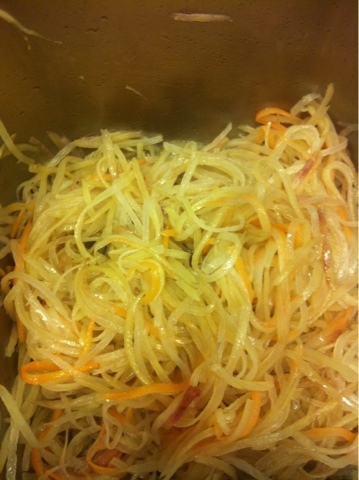 At the restaurant, we add potato noodles to the noodles for added crunch. Potatoes are shredded finely and then washed in water several times until the starch is removed.